[THE FACT] The boy group B1A4 predicted the surprise gift to celebrate Shinwoo’s entry of military services. “As a gift that was prepared by Shinwoo before his entry to the military, the song ‘The Day, Fall In Love’ released during the fan meeting of B1A4 on January 5th will be released as digital single song in various soundtrack websites at 6 pm on the 26th.”, said, agency of WM Entertainment on the 23. The new song ‘The Day, Fall In Love’ is a self-produced song of Shinwoo, who is the eldest of B1A4, and was presented for the first time in front of the fans during ‘2019 B1A4 ♥ BANA Batch 5 Fan Meeting – Be the one All for one’ held at Olympic Hall of Olympic park last 5th of the month. 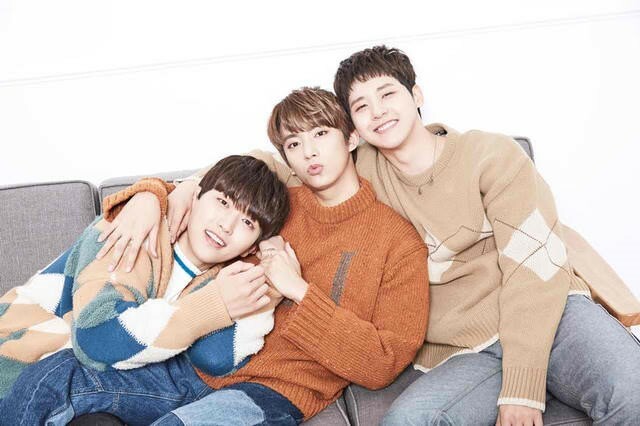 Especially, as a first song releasing after the B1A4 as changed into three members, the release of the song was announced to the fans first through B1A4’s official website and fan cafes on the day of Shinwoo’s entry to the military. Shinwoo has entered his military services on the 22nd. Shinwoo has posted handwritten letter a day before his entry on his Instagram saying, “I am sorry to BANA who were surprised of my sudden military entry. But please do expect the return of better and more manly Shinwoo.” And “I will return as better Shinwoo! Bye! Let’s meet again in Summer. I’ll return during the summer where we can love more”, he added. Meanwhile, B1A4’s digital single song ‘The Day, Fall In Love’ has released at 6 pm on the 26th through various soundtrack websites.